View, Convert, Compare, Watermark, Manipulate Metadata, Extract Text & Images, Merge or Search content inside Word Documents. Aspose.WordsConversionConvert Word & OpenOffice documents to PDF, ePUB, HTML and other file formats in seconds. Aspose.WordsMetadataView & edit Microsoft Word & OpenOffice document's metadata properties. Aspose.WordsViewerView Microsoft Word & OpenOffice documents online from any platform. 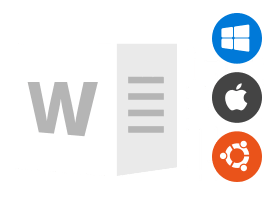 Aspose.WordsWatermarkEasily & quickly add watermark to Microsoft Word documents without leaving your browser. Aspose.WordsComparisonCompare two Word documents and download resultant file highlighting differences. Aspose.WordsParserFree online App to Extract Text and Images from Microsoft Word documents. Aspose.WordsMergerCloud based Free App to Merge multiple Word Documents. Aspose.WordsSearchSearch content inside Word Document based on String or Regular Expression. 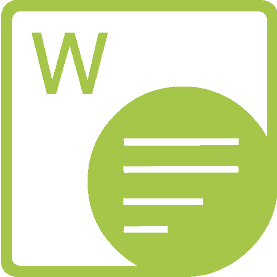 Aspose.WordsAssemblyFree App to Assemble content inside Word Documents.